We know marble and granite are typically quarried in Brazil and Italy but few people realize that the United States is a leading producer of granite and marble also. In 2016 more than 580,000 tons of granite and over 55,000 tons of marble were produced in quarries across the country. For example, the Danby Marble Quarry located in Vermont has been producing amazing marble for over 100 years. As you may or may not know, this marble has been used to build some of the country’s most iconic monuments, such as the Jefferson Memorial and the Supreme Court. Texas, Massachusetts, Indiana, Wisconsin, and Georgia are the top producers of granite in the U.S. These granite quarries account for approximately 64 percent of the countries production. In 2016, natural stone was being produced at 276 quarries, in 34 states. The largest open face granite quarry in the world is located in Mount Airy, North Carolina, also known as “The Granite City.” Established in 1743, the North Carolina Granite Corporation has been harvesting stone at the site for more than 150 years. In Aspen, Colorado a marble quarry was discovered in the Colorado Rockies at 9,300 feet above sea level in 1875. It was this marble, Calacatta Lincoln, that was used to build the iconic Lincoln Memorial. The United States, the worlds top consumer of dimension stone (natural stone that has been selected and finished to specific shapes or sizes), including granite and marble, was ranked as 18th in the world for granite and marble production. The top producing countries include China, India, and Turkey. Even so, the U.S. imports almost 90 percent of all the granite and marble used in residential construction. The leading factor for this is the price. Stone from local quarries does tend to be less expensive. It’s also important to note that the country doesn’t have the infrastructure in place to even meet the high level of demand. Additionally, most of the granite quarried in America has a plain gray color that’s commonly used for structures or as paving materials. U.S. cities are filled with buildings constructed with American granite, but because of the granites plain color and lack of variation, they’re not commonly used for countertops. 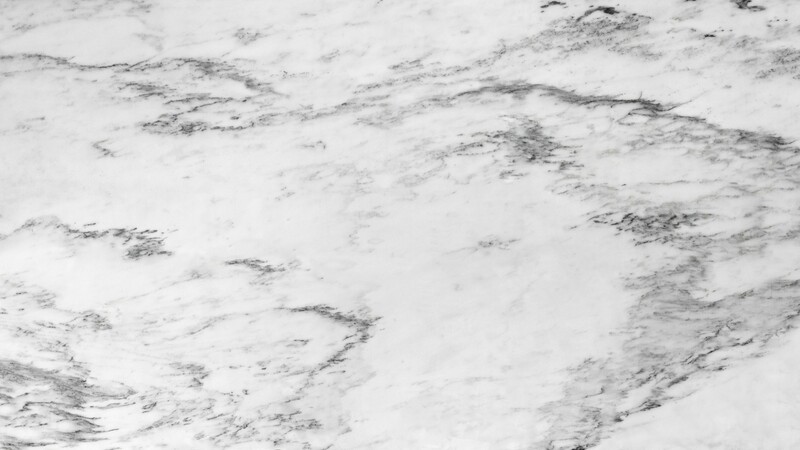 Similarly, most of the marble quarried in the U.S. is also used for walls, floors, and other non-countertop applications, although there are more varieties of countertop marble than granite in the U.S.
Virginia Mist Granite with its dusty black background and gray swirls is a well-known option. It’s sold in both honed and polished finishes and it’s quarried in Virginia as well as Canada. Dakota Mahogany Granite, quarried in Milbank, South Dakota, is composite granite featuring a black background speckled with mahogany, burgundy, and gray. The most well known group of American marble are The Danby marbles (Imperial Danby Marble, Mountain White Danby, and Montclair Danby Marble, etc.) quarried in Vermont are the most popular American marbles. 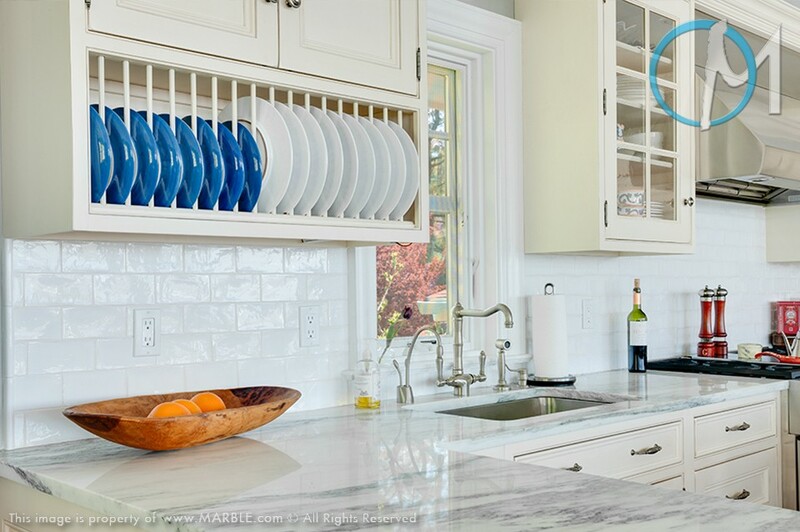 Marble.com carries Mountain White Danby marble for your countertop needs. If you are a natural stone fabricator and would like to build your inventory, Slab Market has a number of granite and marble choices that will fit your needs. It’s widely believed that price is the driving force in the granite and marble import market, however, another factor may be the simple fact that the average consumer simply isn’t aware of the products being quarried, conceivably, right around the corner.